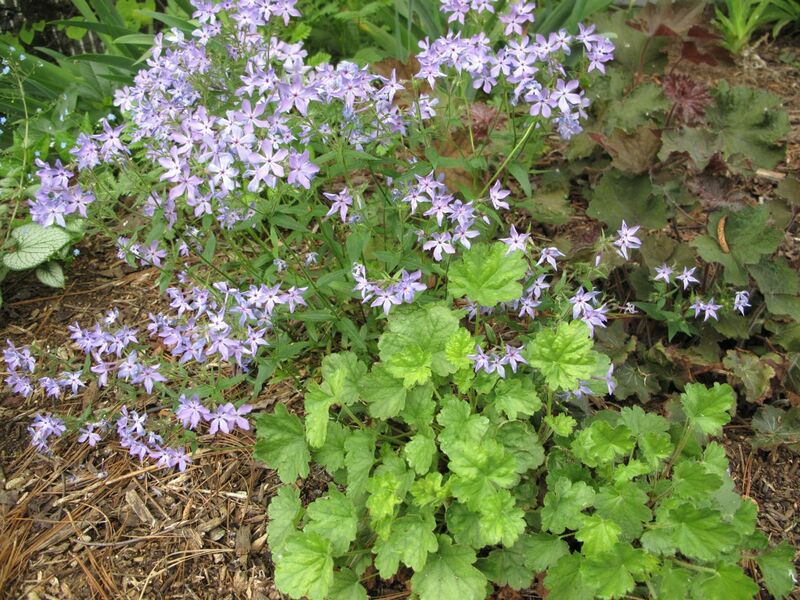 At the end of April the garden is a mix of maturity and possibility, old friends and new. This entry was posted in garden and tagged spring garden on April 30, 2015 by pbmgarden. Your garden is looking so lovely, I especially like your first photo. Your iris are gorgeous, ours aren’t quite ready yet, buds have formed but no flowers this month. Once the iris buds appear they seem to move quickly. I have a few more varieties that haven’t opened yet, others are finished. 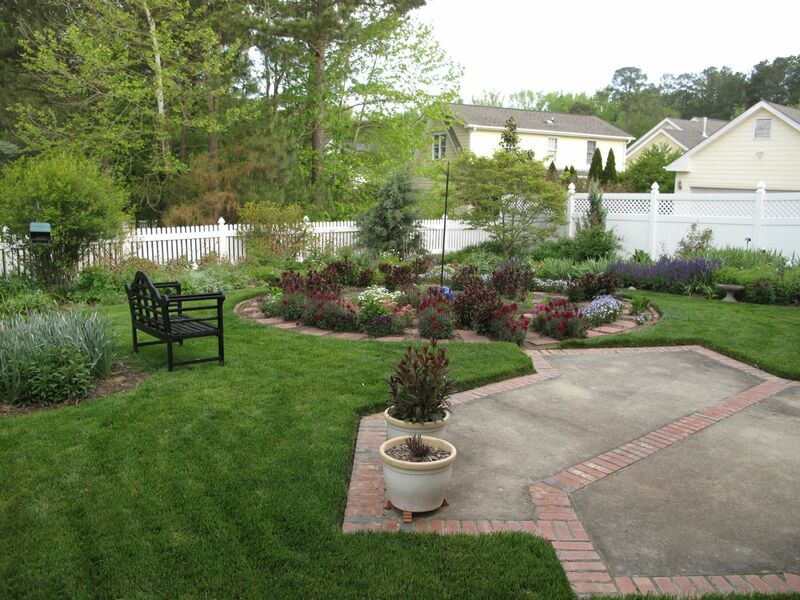 Susie, What a wonderful time of year…and such a wonderful garden you have built. Thanks John. It has been a great spring for the garden. The circle is looking lovely, and it’s nice to see irises again. Mine are in bud now too, but you have such a lovely selectionI always enjoy seeing them! Thanks Cathy. We had such a wet winter I can really tell the irises need better drainage and some elbow room, but I do love it when they bloom. Lovely irises, Susie. I think they could become addictive to me. The second in-named variety is gorgeous. The whole garden is looking great. Spring seems even more beautiful this year, I’m not sure why. Thanks Christina. That unnamed iris was a gift from a neighbor in 1977. I brought it to this garden when we moved in 2001. Until a couple of years ago I’d never actually bought an iris, most are pass-alongs with no names. Spring here has been great–an extended spring. There have been a few hot days but then before plants get too stressed, the temps cool again and there have been nice rains. Your hardscape creates a dramatic stage for this outstanding cast of characters. Thanks Rickii. Since I built the meditation circle I felt the garden has had a better focal point. The fencing helps keep out the deer. 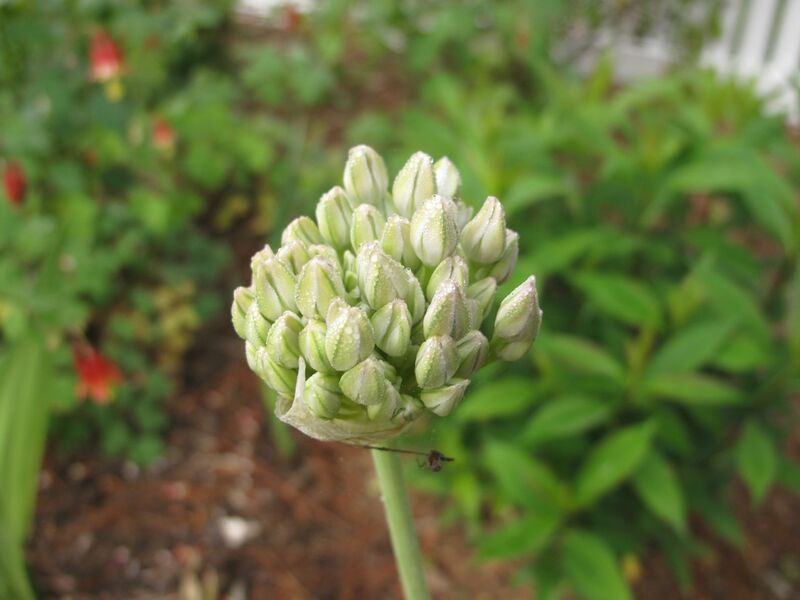 It’s a beautiful garden and a wonderful blog that shares the glory. Stepheny, thanks for your support. I enjoy both the blog and the garden so much. Beautiful blooms! I love the circle with the dark snapdragons and the penstemon, such a nice combo of rich colors. I also like the sound of an extended, cool spring. I’m hoping for the same but I think next week we’ll see some warmup! Weather is changing here too and warming up considerably. Forecast is for days in the 80’s all next week so that will certainly impact the garden. 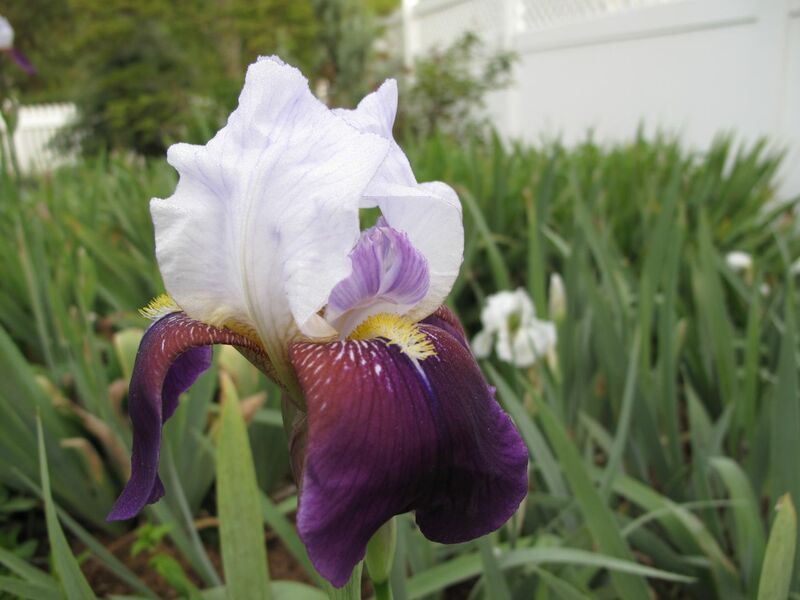 The garden looks so lush and abundant….and those irises have some of the most spectacular blooms! Thanks Matt. Just a few weeks ago the garden was all brown. I love how it transitions to green so quickly. 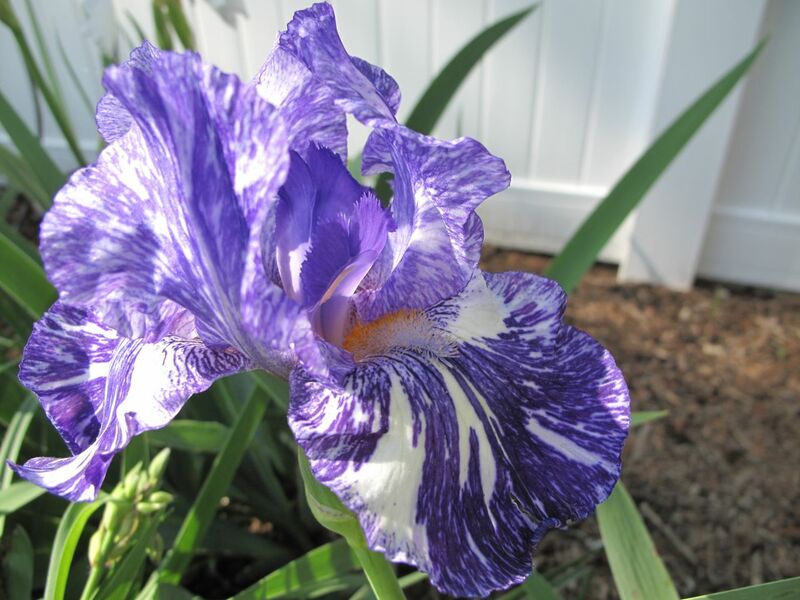 That ‘Batik’ is a really unusual and striking Iris! I like how your meditation circle is greening up! ‘Batik’ is one of my few irises I actually bought. It’s been a reliable bloomer but doesn’t spread much. The meditation circle needs some trimming soon to keep the path clear but I like it sort of full. Batik is gorgeous! I wonder if the second iris is Helen Collingwood. Thanks! I really appreciate this identification. The iris certainly does look like ‘Helen Collingwood’. Mid to late bloom season. Height 40″. Standards are light lavender, the falls bright violet-purple. It all looks wonderful. I love your irises, I remember admiring them last year. You have such a lovely – and orderly – garden, Susie! I love order myself but seldom seem to achieve it. The Iris are gorgeous. Thanks Kris. I don’t often show the disorder but it’s always close by! Glad you like the irises. Your Iris collection is amazing. You just convinced me to add a ‘Batik’ to our garden this autumn. Isn’t Batik a cool Iris? 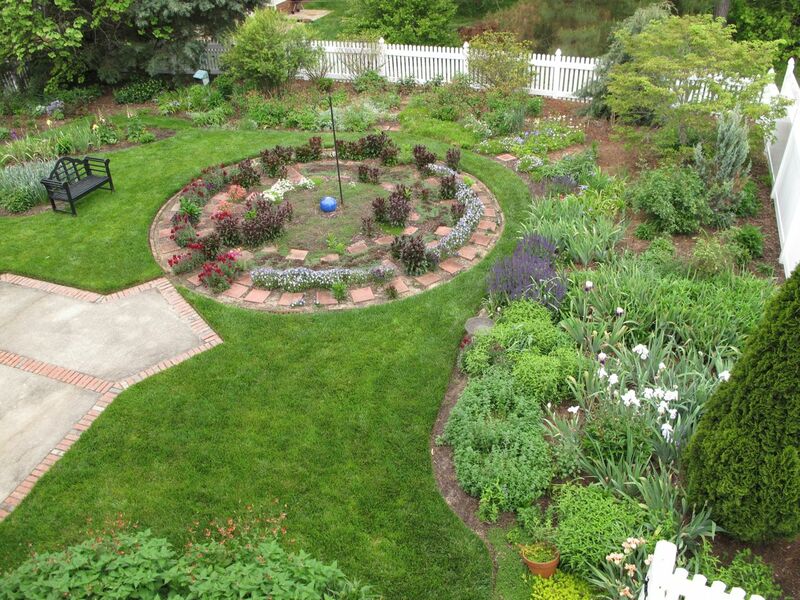 The meditation circle looks wonderful – makes me feel peaceful just looking at it in your garden. And I am going over to your Vase on Monday now, since I realise that the purple in the circle must be your beautiful snapdragons. Lovely – and especially the irises. Thanks Cathy. That’s how I feel right now when I’m in the garden–peaceful.